Costain, the engineering solutions provider, is planning to take on the former Sterecycle site at Templeborough in Rotherham whilst it carries out work on the multimillion pound Smart Motorway scheme on the M1. Two Highways Agency schemes were given the go ahead to begin construction at the end of last year. A ten mile stretch of the M1 between junctions 32 (south of Sheffield and Rotherham) and 35a (north of Sheffield and Rotherham) is set to benefit from a project costing between £124m and £174m. A similar scheme costing between £163m and £221m is planned for the M1 between junction 28 (South Normanton) and 31 (Aston). 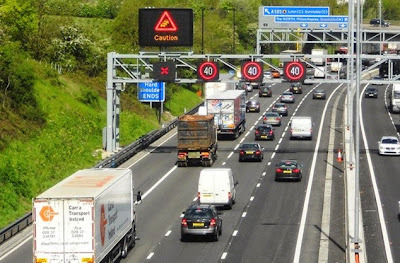 The smart motorway projects include plans for converting the hard shoulder to an extra traffic lane in both directions and variable mandatory speed limits but the Transport Secretary has put the brakes on the agency's plans to reduce the speed limit to 60mph at peak times to manage traffic speeds and help reduce congestion and air pollutants locally. Managed motorway schemes deliver benefits at a significantly lower cost than conventional motorway widening and with less impact on the environment during construction. Signs and signals will still be used to inform drivers of conditions on the network and when variable speed limits are in place. Safety concerns have been raised by South Yorkshire Police over the use of the hard shoulder. Costain, a long term partner with the Highways Agency through the Major Projects Framework, secured contracts worth around £125m to carry out work on the two schemes. Plans are now being drawn up to use the land next to Magna to house approximately 170 staff in a double storey modular building and provide parking for around 300 vehicles. If approved, the former waste processing site will be used for storing of materials including drainage, steelwork, and aggregates, 24/7 access for deliveries including articulated wagons will be required and will have the use of 24/7 security facilities. Sterecycle used a patented steam processing method called autoclaving to "pressure cook" household and commercial black-bag waste. The Templeborough site was operational since August 2008 and employed 70 local people. It was as a blueprint for a future roll out of waste processing sites around the country. The company, which called in administrators in 2012, was recently found guilty of corporate manslaughter following the fatality at its Rotherham waste treatment facility in 2011. A fire at the premises in December forced Magna to cancel a number of Christmas events. About 2,000 tonnes of plastic was involved in the incident which saw six fire engines called. Preparation for the M1 scheme is underway. Last month saw the installation of electronic loops (known as MIDAS loops) in the carriageway to detect traffic flows. The loops detect when traffic is slowing down, and automatically set warning messages to advise drivers of queues ahead, and is necessary in advance of the main construction phase of the smart motorway scheme.